Zwift without a doubt single-handedly changed the indoor smart trainer industry. Its interactive and social training platform pushed bike trainer companies to compete and continue to innovate. More athletes are on Zwift now than any other year. During peak indoor training season, it’s common to see four to five thousand athletes logged-in and riding on Zwift simultaneously. 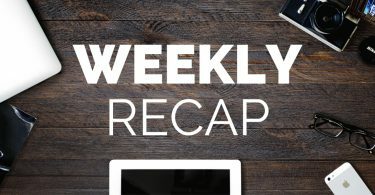 As the editor of this little blog and a smart trainer reviewer, I have been on more trainers than I can count. Evey trainer offers its own unique features, specs, sound and road feel. In this post, I am going to give you my own recommendation, something I’ve stayed away from in years past just because every trainer is unique and everyone’s needs are different. Zwift runs on many different platforms. Each one provides its own connection challenges. On some devices, you can only use ANT+ FE-C to connect to Zwift and most mobile devices can only use Smart Bluetooth. Apple TV has its own connection challenges. It only allows two connections simultaneously making it a little difficult to connect a smart trainer, cadence sensor, and a heart rate monitor. There are ways around that but I am not going to dive into that in this post. Because of that, I am going to divide my recommendations into two different categories. The first one is my top three recommendations for Zwift in general, and the second category is for Zwift on Apple TV. 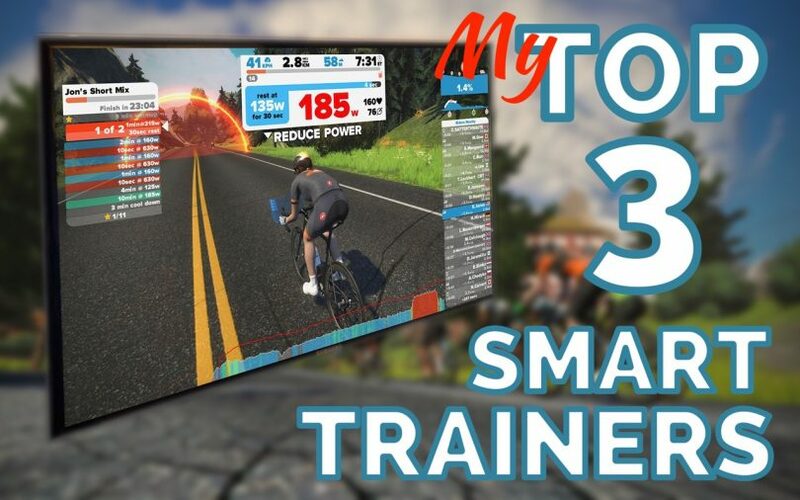 With that, let’s dive into my top three trainers recommendation for Zwift. The Tacx NEO has been in the leading front when it comes to innovation. Its unique virtual flywheel, quiet operation, self-powered, and accuracy makes it my top trainer for Zwift or indoor training in general. 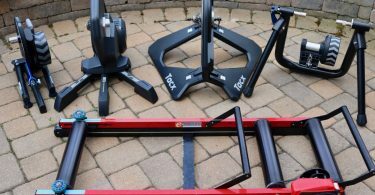 Tacx hasn’t introduced a new NEO since it was first introduced in 2015. However, the company continued to update its firmware with innovative features such as road feel simulation, pedal analysis, and Isotonic and Isokinetic modes. The NEO 2, which Tacx introduced a couple of weeks ago offers the same specifications and power as the old NEO but with updated internals and a new chipset making it open for more future updates. So my recommendation goes to either NEO 1 or NEO 2. The NEO 2 is priced at $1,400 and NEO 1 retails for $1,370. ACCURACY: I have been using the NEO for three years and it has been consistent every day. Also, it is the only trainer on the market that doesn’t require calibration, so you just get on and ride. SELF POWERED: Even though you can plug in the NEO to a power source, it can also generate its own power when not plugged in and continue to use all the same interactive features except for the descent simulation which requires power. ROAD FEEL SIMULATION: The NEO can simulate road feel. When enabled in Zwift, you will feel cobblestone roads, concrete plates, brick roads, dirt roads, and more. This feature is optional and can be enabled/disabled within Zwift. QUIET: The NEO is very quiet and you will only hear your drivetrain. You might hear a little thumping noise when simulating road feel but that’s the NEO simulating the road noise for you. This one can go to either the KICKR 2018 or KICKR CORE but my vote go to the CORE because of its lower price. The CORE was introduced this year and it cost $300 less than the KICKR 2018 but with everything you need in a trainer (see: Wahoo KICKR CORE vs KICKR 2018). 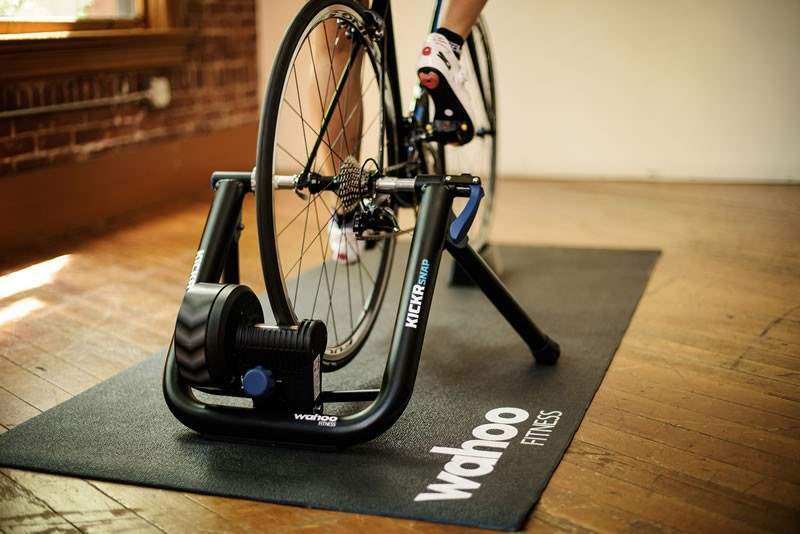 Also, Wahoo’s flywheel can simulate road feel better than any other trainer I’ve been on. PRICE: The CORE retails for $900 but offers enough power and slope to make you enjoy or suffer every hill on Zwift. ROAD FEEL: The KICKRs’ flywheel are one of the best and the CORE is no different. QUIET: The KICKR CORE is very quiet. You will only hear your drivetrain. 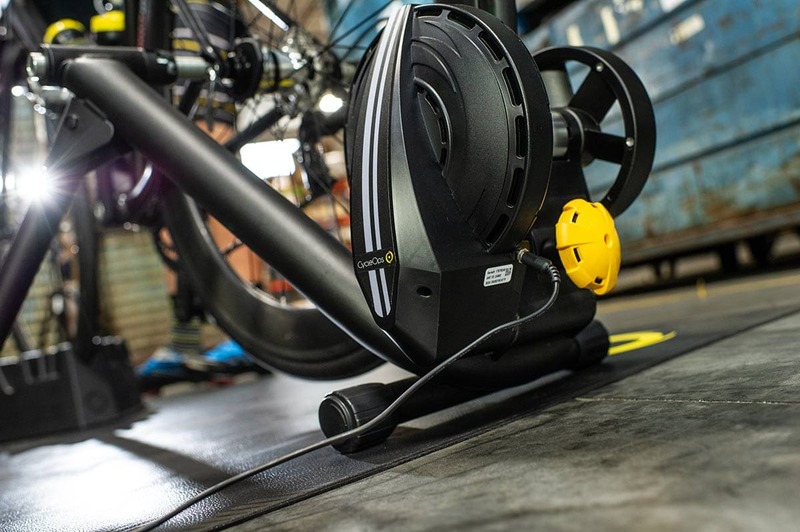 BIKE COMPATIBILITY: The KICKR and CORE are compatible with more bikes than any other trainer. COMPATIBLE WITH THE CLIMB: The CORE is compatible with the CLIMB. The CLIMB is a gradient simulator that will add physical grade changes to your indoor training. The CLIMB is compatible with the CORE, KICKR 2017 or later and SNAP. 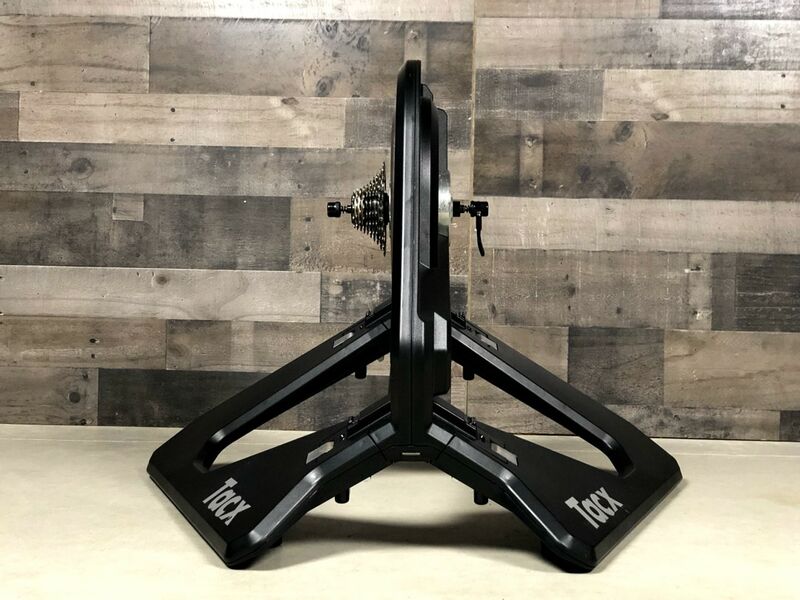 If you are looking for a wheel-on trainer to use with Zwift, the KICKR SNAP would be my pick. It offers a great road feel, can simulate climbs up to 12%, and offers +/-3% power accuracy when calibrated correctly. It’s also compatible with the KICKR CLIMB and HEADWIND. ROAD FEEL: The SNAP has a 10.5 lbs flywheel and offers one of the best road feel of any wheel-on trainer. COMPATIBLE WITH THE CLIMB: The SNAP 2017 is compatible with the CLIMB and you can use it to simulate hills when riding in Zwift. The TACX NEO again takes my top pick here. The NEO broadcasts power, speed, and cadence so you will have no issues connecting it directly to Zwift on Apple TV and still have one port open for your Bluetooth heart rate sensor. 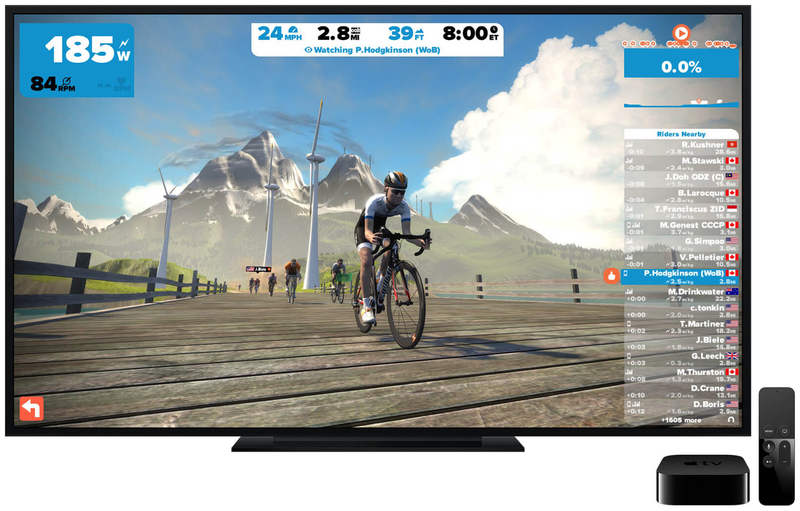 METRICS: The NEO broadcasts power and cadence and can be easily paired to Zwift on Apple TV. ACCURACY: I have been using the NEO for three years and it has been consistent every day. Also, it is the only trainer on the market that doesn’t require calibration. SELF POWERED: Even though you can plug in the NEO to a power source, but it can also generate its own power and use it in sim or erg mode. The only thing you will lose is descent simulation when not plugged into a power source. ROAD FEEL SIMULATION: The NEO can simulate road feel. When enabled in Zwift, you will feel cobblestones roads, concrete plates, brick road, dirt road, and more. QUIET: The NEO is very quiet you will only hear your drivetrain. You might hear a little thumping noise when simulating road feel but that’s the NEO simulating the road noise for you. 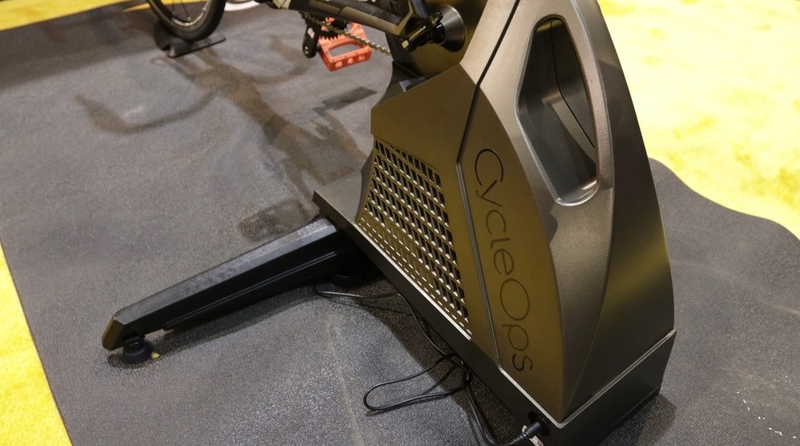 The H2 is CycleOps’ latest direct drive trainer. 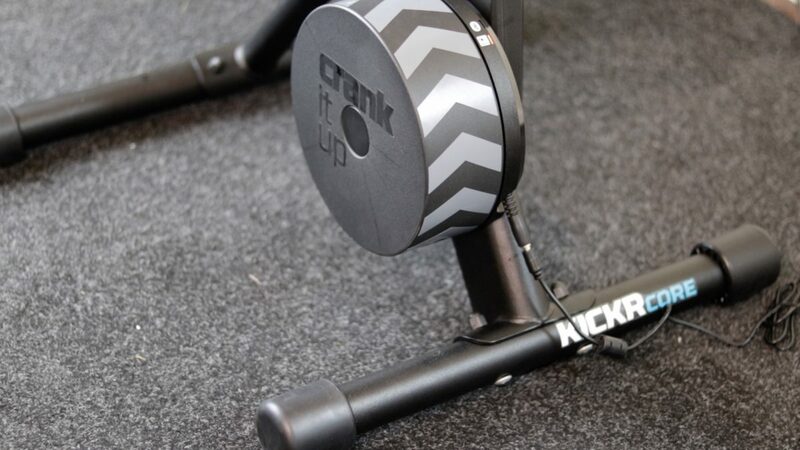 It offers the same feature as its predecessor – the CycleOps Hammer – and can be easily paired with the Apple TV. The H2 has the heaviest flywheel on the market and can simulate hills up to 20%. DESIGN: The H2 looks great and demand attention. The legs fold easily for storage and the front wheel block can be stored under the trainer. The handle makes moving and carrying around this heavy trainer a bit easier. METRICS: You can pair the H2 to Zwift on Apple TV as a controllable trainer, power, and cadence all as one connection, leaving one additional port open for your heart rate sensor. ROAD FEEL: The H2 has a 20 lbs heavy flywheel, enough to make you feel like you are riding on the road. If you are looking for a wheel-on trainer to use with Zwift on Apple TV, the CycleOps M2 would be my pick. It broadcasts power and cadence so you can easily pair it to Apple TV. Its road feel is good and the patented tension knob will ensure you have the same tension against your rear wheel every time for a more consistent power accuracy and ride feel. METRICS: The M2 can broadcast all the metrics you need to pair to Zwift on Apple TV and have one more open port for your heart rate sensor. CONSISTENCY: With the M2 patented tension knob, you will have a more consistent power reading.